Turnkey service for TenBase2 for achiving video content onto LTO-6 tape. 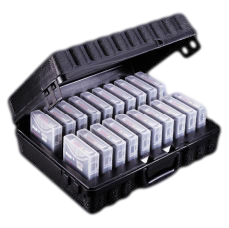 Safe Transport of your video assets - With your order in our web store, the process begins with shipment of your video files (assets) into Cintrex. It is best practice to always have a duplicate copy of these video files in separate storage, as backup protection against possible loss or damage in shipment. You have the choice of using your own external hard-drives, or using "loaner" hard-drives from Cintrex, for transport of your video files. If your files have already been backed up, and you wish to save time, you may send in your own external hard-drives, and we will pay for the shipment. After placing an order in our web store, you will receive a URL link and instructions to print off a UPS label for attachment to package shipment into Cintrex AV. If instead, you choose to order our "loaner" drives, we will ship Cintrex AV external hard-drives to your location; these drives to be used for storage repository of your video files and their shipment back to Cintrex, using a Cintrex provided UPS shipping label. The "loaner" drives have interfaces for Firewire 400, Firewire 800, USB 2.0, and eSata connections. The benefit to you is that the master video files remain safe at your location, and not lost in shipment. The archive rate increases $0.01 per GB (1 penny) with use of our loaner hard-drives. Follow Your Instructions - Please provide documentation on job scope - specifying your expected outcomes, naming conventions, organization, and information tagging of video files to be archived. Tape Formats - We will format tapes in open standard LTFS (for shops with mixed Windows and MAC OS). The format provides for inter-exchangeability between computers and tape drive platforms. Turnaround - Average turnaround within our labs for this service is 3-4 weeks. This does not include shipment transit time. Our Process - Archive process includes inventory of contents upon receipt into our lab, review of customer provided instructions, organization of content to be archived, archiving to tape, verification of contents - matching source and destination files, cataloging contents placed on LTO tape, and capturing screen shots of tape file layout. Deliverables - You receive back carrying cases containing the new LTO tape(s) with the archived video content, and a DVD containing the tape catalog of content, screen shots of file layout on the LTO tape, and restoration software for restoring video files from the LTO tape. 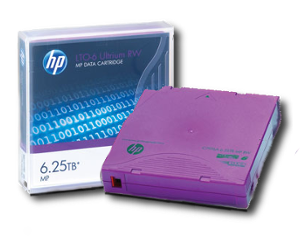 Benefit of the Service: storage format used on the finished LTO tapes offers inter-exchangeability of LTO tapes for a community of end users or collaboration team. We offer LTFS formatting for compatiblity with all brands of OS and tape drive; and BRU-PE tape formatting for MAC specific communities. The open formats of LTO-5 and LTO-6 tapes allow for, or enable, restoration of tape contents by a large community of other vendors and customer partners.